Taking its name from the E.E. Cummings poem, I Carry Your Heart is set in the aftermath of a woman's loss of her mother. As Phoebe Wilder reads the memoir her novelist mother Debra left behind, she is haunted by her mother's spirit and struggles to come to terms with a relationship primarily defined by distance. Meanwhile, Tess and her partner Lydia receive a late night phone call, informing them that a donor heart is available for Tess - good news, but news that will change their lives in ways they didn't anticipate. This world premiere work explores themes of connection between past, present, and future and the sudden intersections between people that can change the course of a personal history. 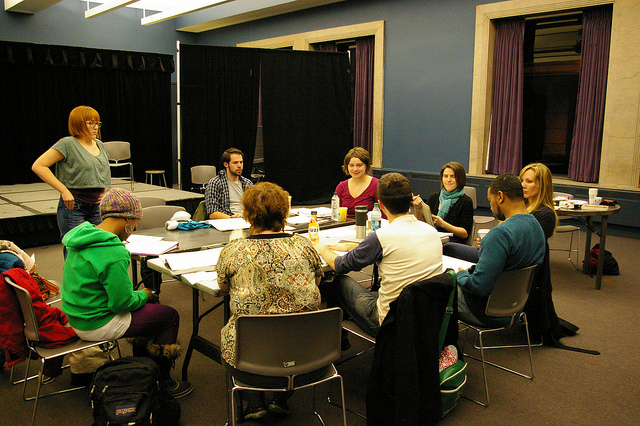 Prologue Theatre Co. was invited to develop a world premiere play through the Chicago Department of Cultural Affairs Incubator series. We chose to work with Georgette Kelly, a playwright whose work I'd been interested in for a while. 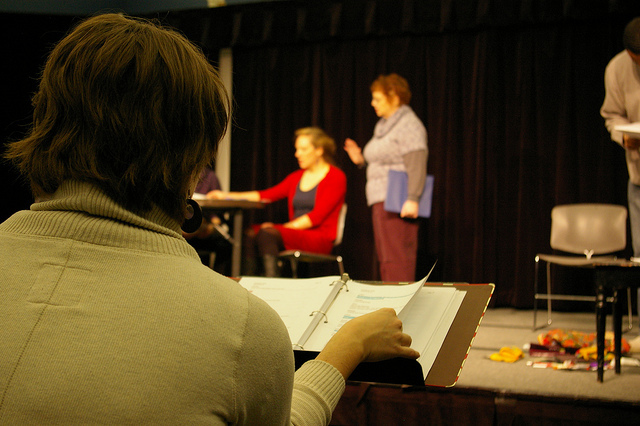 We began rehearsals with about 30 pages of the play completed, and by the end of the month, presented a script-in-hand staging of the full script. I collaborated with Georgette over the course of the project, and provided feedback as the script developed. I also worked with actors to develop roles as the circumstances and backgrounds of their characters were still in flux. After the Incubator presentation, I lead an audience talk-back to solicit responses about the play for its future development.